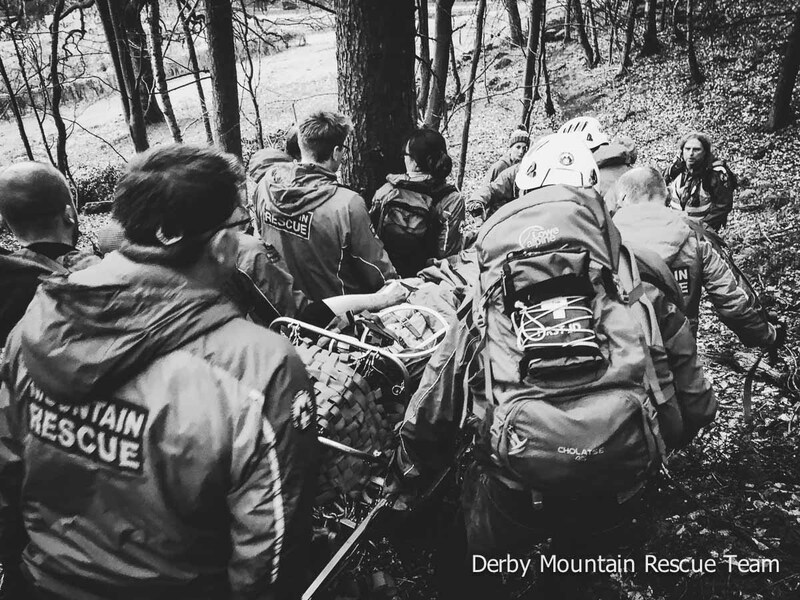 The team were called out just after 6pm on Wednesday 3rd April 2019 to a fallen Mountain Biker. The 46-year-old male had been out cycling with two friends when he fell from his bike dislocating his left ankle. 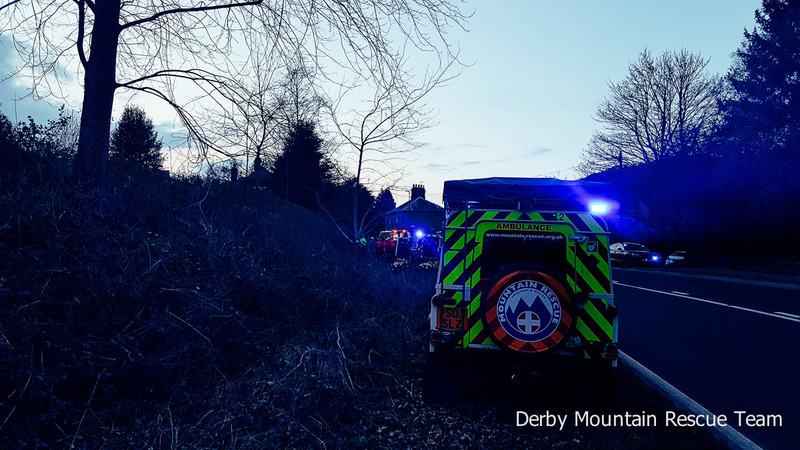 He was treated on scene by an East Midlands Ambulance Paramedic, a Matlock Community First Responder and team members. 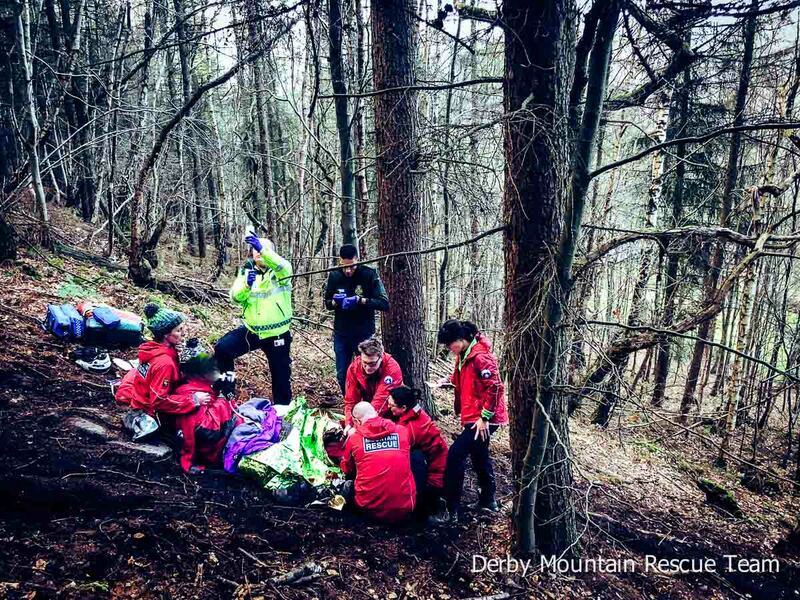 Once his lower leg had been splinted, he was moved onto our Bell Stretcher and carried down the woodland hillside by the team. 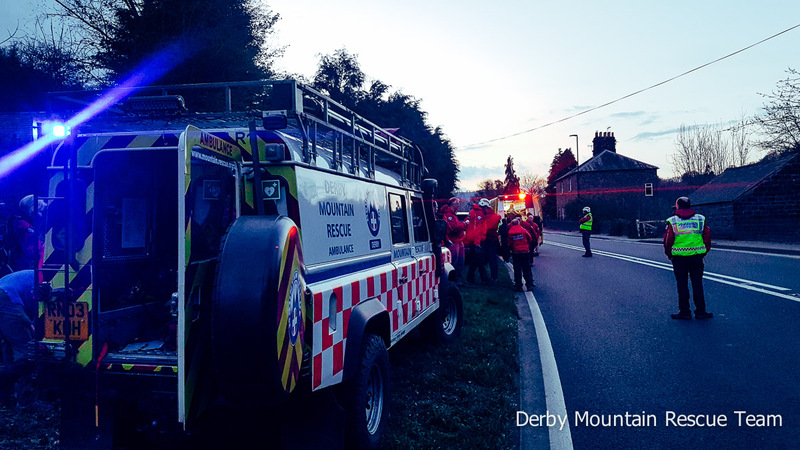 He was transferred to the care of an EMAS Land Ambulance crew who transported him to the Royal Derby Hospital for further treatment.